The British Motocross GP has a new home, just across the Severn Bridge, on the outskirts of Newport. The new GP-class motocross track will be part of a brand new £9million facility on a 140-acre site that’s also going to incorporate permanent a paddock area, three motocross practice tracks, a six-mile enduro course, speedway oval, supermoto/kart tarmac track, watersport facility, plus an exhibition theatre and hotel. Man behind the project is 44-year-old Welshman Gareth Hockey, the promoter who has run the British Motocross GP promoter at Mallory Park for the past two years. He told MCN: “We’ve got the backing of the local council and grants from the Welsh Assembly, the European Government and the Off Road Promoters. The site is located just off the M4, opposite the Llanwern Steel Works, on the outskirts of Newport – and will be served by a brand new dual carriageway that’s being built. Hockey says there are no noise issues to consider and that he has open planning permission to commence construction. It’s not just about racing. 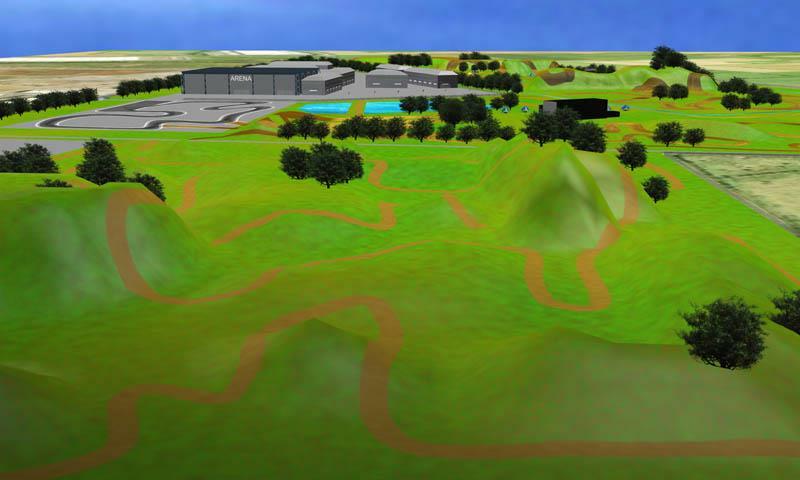 RHL Off Road Land, as it will be called, is going to become ‘a total extreme sports complex’ and Hockey said: “I want to create a Walt Disney-style theme park for off-road motorcycle sport and other extreme sports – a place for all the family. We’ll have a hotel with a gym and spa on site – we already have a hotel group lined up to run that. And Court Manor golf course is only just down the road. “There will also be a centre of excellence where we aim to run mechanics’ courses and offer specialist medical training courses.